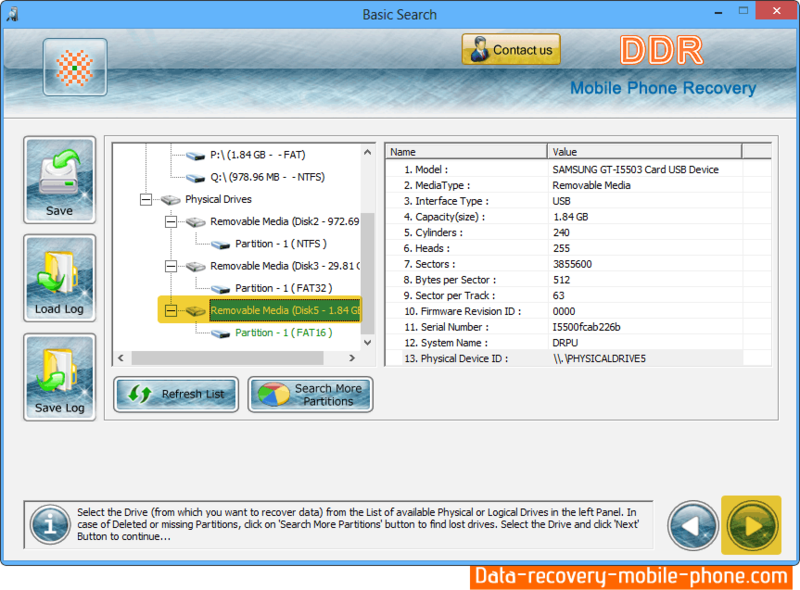 Select partition from left panel to specify drive from where you want to recover files. Progress bar displays current status of drive scanning process. 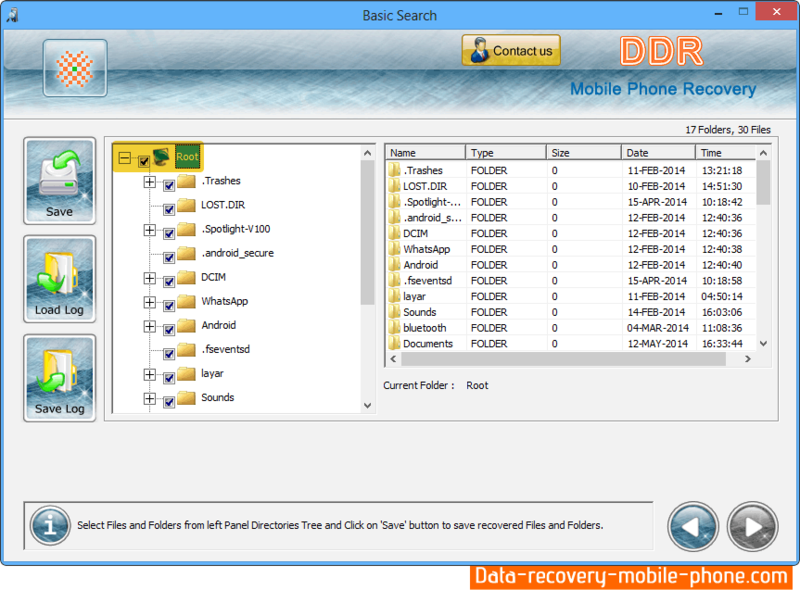 Select folder from left panel to view recovered files.